Sunday 1 April 2018 marked the Royal Air Force’s 100th birthday, and has been celebrated across the country through events, activities and initiatives. RAF100 sets out to mark this occasion by celebrating the past and present and looking forward to the future. Through Scottow Enterprise Parks strategic partnership with the Spirt of Coltishall Association we aim to celebrate the site and recognise the part it played during its rich 66 year history. This exciting partnership looks to celebrate the heritage of the site, through the delivery of events and activities that will encourage visitors to remember the sites heritage and be inspired. 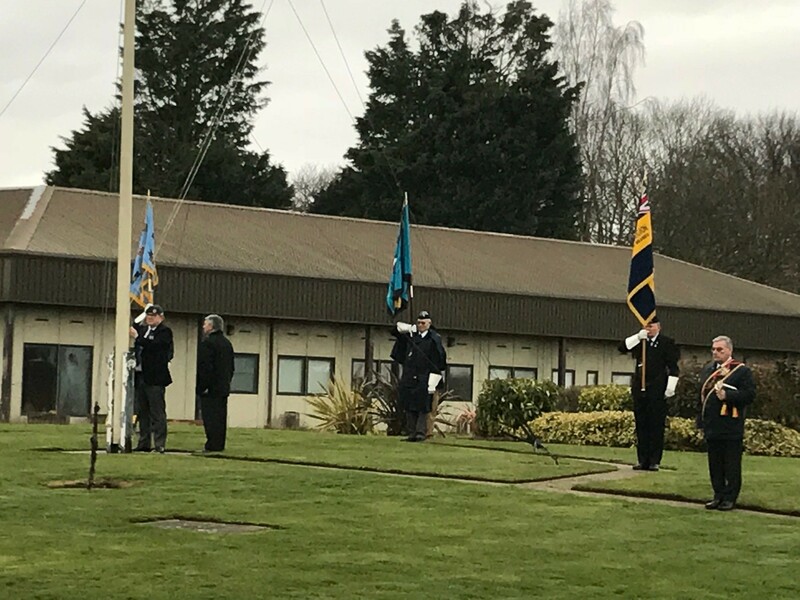 To celebrate the Scottow Enterprise Parks history as an ex-RAF airbase the Royal Air Force battle ensign was raised on 1 April 2018 in honor of the RAF’s 100th Birthday. The event was organised and led by the Spirt of Coltishall Association. As a working airbase the flag would have been raised daily at 8am and lowered at 6pm. During the raising and lowering of the flag all personnel outside were expected to stop and turn to face the flag pole. The event on Sunday brought back the tradition to Scottow to mark the special occasion.